Hello again! AAAAaaaaaaand we're back with another update of this year's summer program! So this week was a bit different from our past two classes. The first two weeks we focused on a single skill and developed it throughout the week in forms of projects. This week we exposed our students to a variety of materials and had our students experiment (yeah, that's where we got the title of this week) with these new materials. Let me show you what they did because I can't wait any longer! Air dry clay is hard to work with because it's so stiff, but you can see our students work little by little to mold and attach the different "body" parts to their creations. The students worked with different tools to engrave and cut the clay as well as use water to smooth out the surface and help the clay stick to each other. Look how detailed and intricate their sculptures are! The next project was creating their own dice with left over cardboard and paper. We painted scrap paper to make our own colored paper and wrapped it around cardboard to create a cube. So if you haven't already guessed, all these mini projects were for our board game! Our students painted on a large piece of canvas to create their own board game. The tiny sculptures were their pieces for the game and they used their dice to roll! Check it out! The kids even made cards with "moves" written on them. It was so much fun watching the students play their own board game. 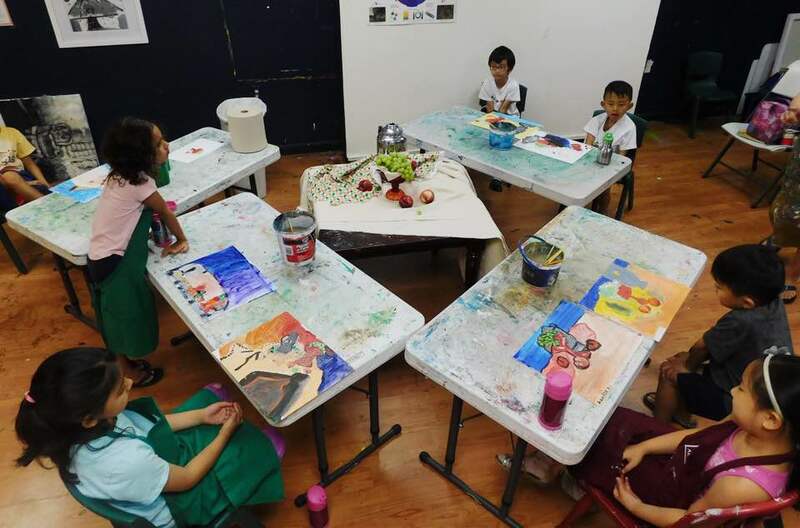 After class, Ms. Nikol (our instructor) and I were talking about how grateful we were to have students come to art class during their summer vacation and experience different materials and art work. Going to a water park is fun, but being able to work with other students and share an interest is just simply amazing. The last day of class was probably my favorite. The students used waxy pastels to create a colorful pattern and then used black oil pastel to cover it all up. It's interesting to see how the black doesn't blend all the colors together, but instead just creates a second layer. The students then took toothpicks to scratch a design to reveal the colors underneath. Some of our students just drew a picture while others got super creative and drew an abstract work of art. Next week's class will be Art In Nature where our students will use objects found in nature to create their projects! Thanks again for keeping up with us; we will be back with another post next week. Have you heard of the painter Wassily Kandinsky? Kandinsky is a Russian painter famous for his amazing abstract pieces. The first week of our summer program focuses on learning about different painters and painting styles. 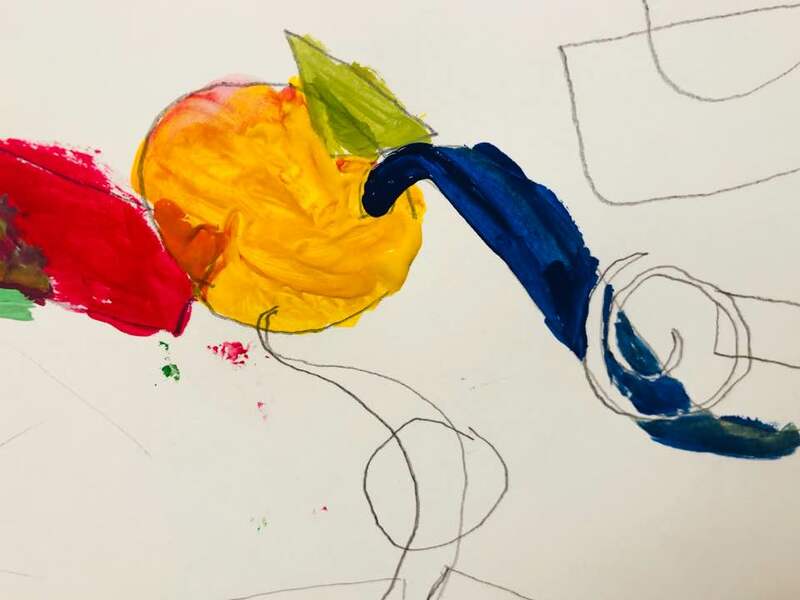 Our children started the week off learning the concept of color theory, mixing primary colors into secondary colors. They were then able to mix different colors to create their own abstract paintings. 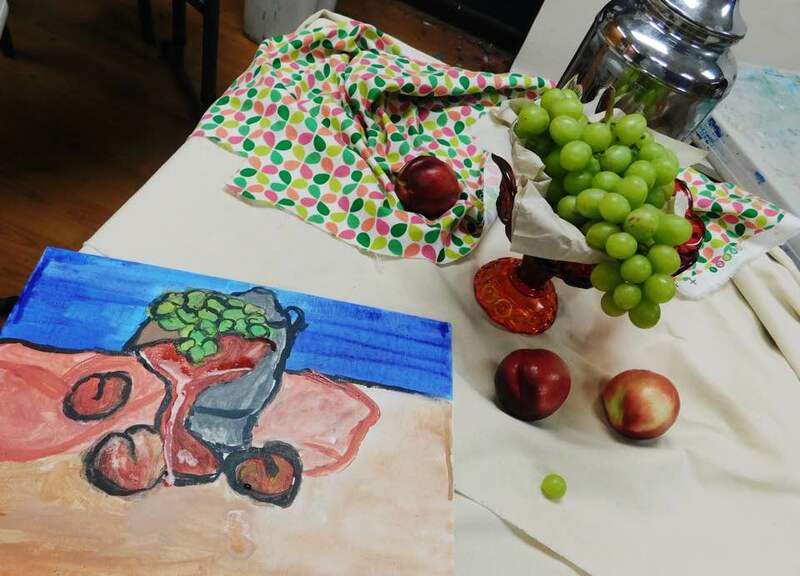 They then learned what a still life was and painted real fruits from different angles. Our students not only learned how to draw and paint the objects, but they learned how to critique their own work as well as their peers'. We ended this week with self portraits in watercolor paint. Watercolor paint was a different medium the children learned. They learned how to mix the paint with water and apply it in layers. We are so grateful that our first week started off with a blast. It's amazing how much the children can absorb in a short amount of time. Stay tuned for our next post! We are going into DRAWING! Welcome back! This past week the winners of the Federal Junior Duck Stamp Competition were announced and I have some great news. Congratulations to our students Jabez L. and Leah P.! Jabez was given THIRD PLACE in the Federal Junior Duck Stamp Competition and Leah was given the HONORABLE MENTION award this year. Congratulations to Olivia N., Emma B., and Fareen K. for also receiving their Certificates of Appreciation! 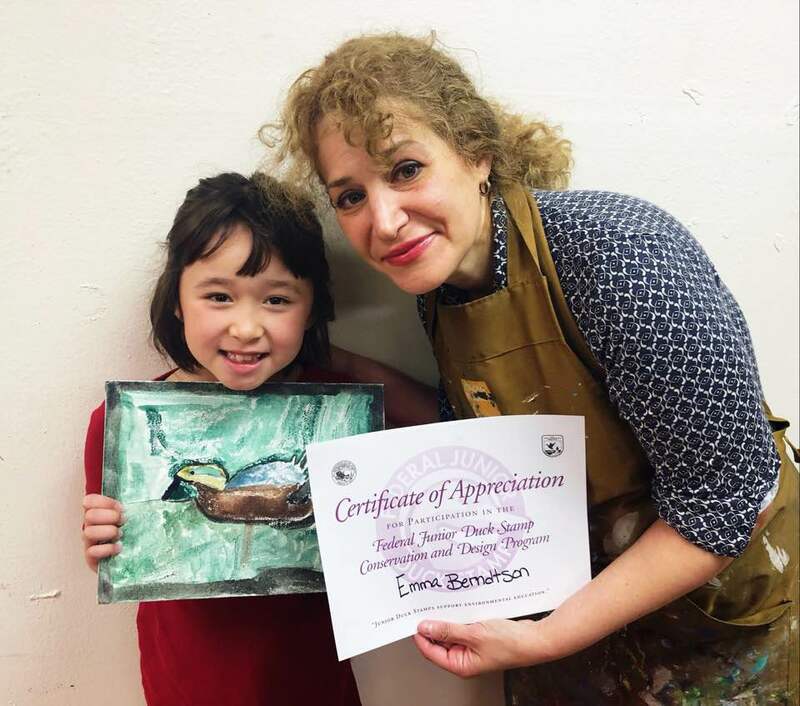 The Duck Stamp Competition is a good break from all the fun projects where our students can take away a lot in terms of skill during this time. The competition requires a lot of observation and focus for our students to paint a duck from the list which is provided. 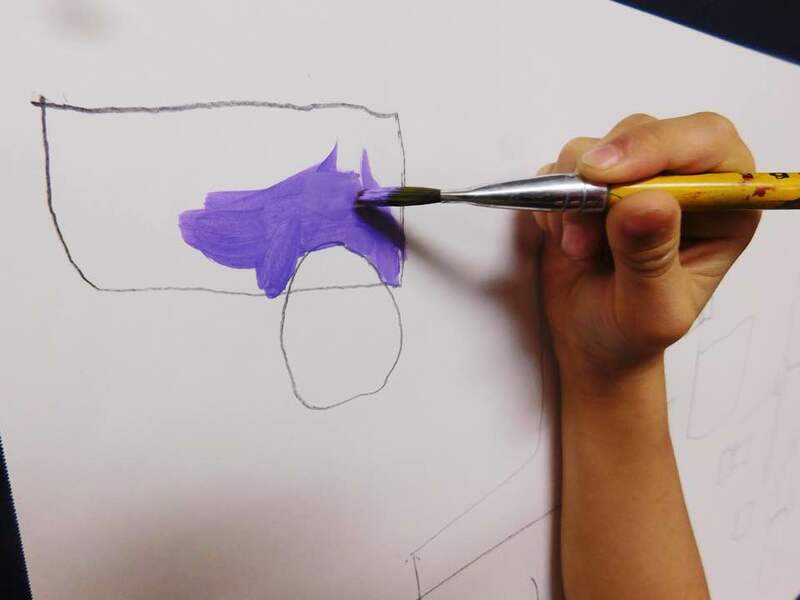 Young students learn to pay attention to detail as well as absorb intense painting skills. I don't know about you, but I'm extremely proud of these young students. It isn't easy to sit down and paint for a good hour at this age - but they did it, and look at the results. Our spring semester has come to an end and we finished it off with such joyful news. NOW IT'S TIME FOR OUR SUMMER PROGRAM! Stay updated for our summer projects. Enjoy the rest of the school year! We try our best to get our students put their 100% into their projects. This week we read a classic storybook that is loved by our children called, Where The Wild Things Are. "That very night in Max’s room a forest grew and grew and grew until his ceiling hung with vines and the walls became the world all around"
Watching our students excited about each scenes was just too cute! Our teacher asked the students to create what they imagined while the story was being read into a three-dimensional diorama. Some students painted grass, some students painted a river, and some students got super creative and painted a world of their own. 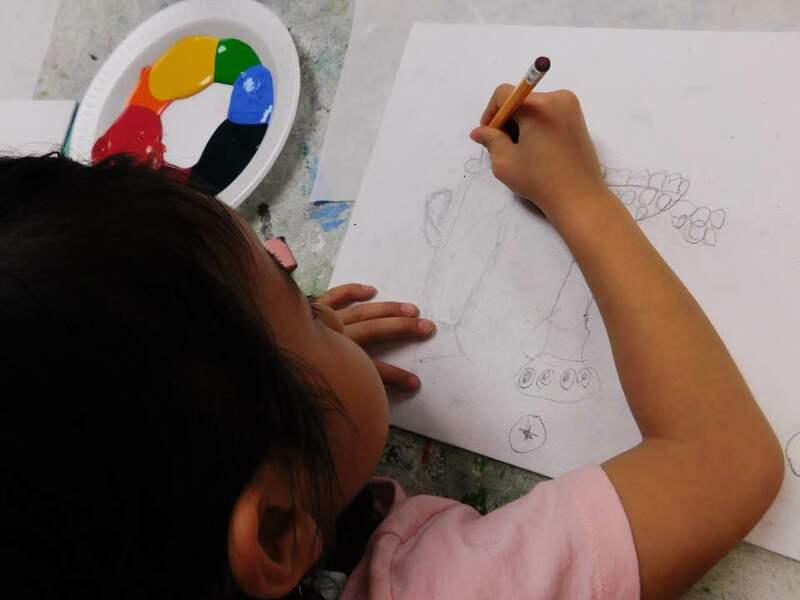 When we took a storybook that the children were already familiar with and incorporated it into an art project, we were all able to see the story in a new perspective.